Home Soccer Simeone: "This is long, you have to wait sitting down and tranquilito ..."
Simeone: "This is long, you have to wait sitting down and tranquilito ..."
Cholo spoke of elimination in Copa ("It hurts but gives us strength for what is coming") and of Adam: "It is clear that Oblak is the best in the world but the moment I understood that it was for Adam". -What would you say to those who doubt the project after elimination in Cup ? : "Nothing" . -After a defeat like that, where to improve the team ? : "I always consider that the goals come under the rival and errors of the team, although beyond losing the ball we were well positioned and it was the opponent who generated the two chances that generated goals. After the first half of Seville, after the second half he started to grow, he is recovering a lot of balls in that sector of the field that has always made us better and from these situations we will always seek to improve. It is clear that being out of the Cup is not good. It hurts us, but it gives us the strength to prepare ourselves better for what is coming. " -Short template: " We trust in the boys from the quarry that are coming tomorrow. We have had the chance to count on them many preseason games and they already know what it is to compete with the first team and if they are here it is because they can play. If it's their turn tomorrow, whoever touches them, it's because they're prepared. I am convinced that they will do very well ". -Recover sensations in the Alcoraz ? : " It is a tough match with the circumstances surrounding the game and the needs of the opponent. In LaLiga there is a lot of competition. All rivals play well, have chances and compete well. The Huesca with the change of coach has grown a lot at a competitive level. Therefore, I can not imagine another scenario that is not hard. " -Goalkeepers: " I trusted Adán because he understood that already in the sixteenth game at the Metropolitan he saved the tie and understood that he was going to do it. We are happy with the work you are giving us. It is clear that Oblak is the best in the world but the moment I understood that it was for Adam. " 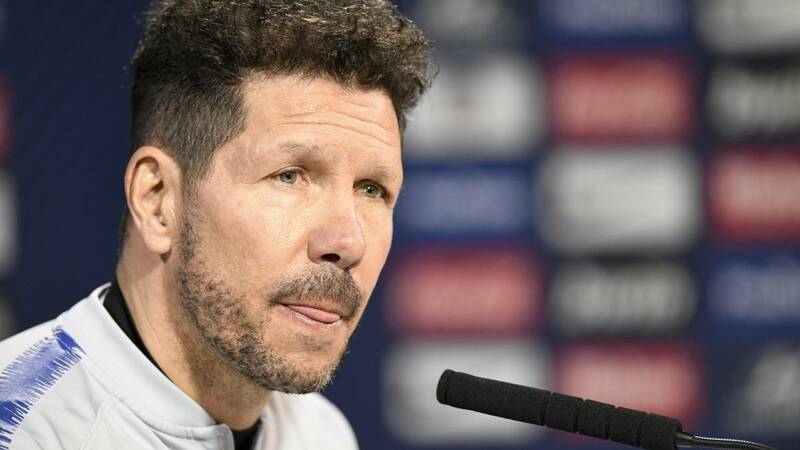 -Feel that, after the elimination of Cup, are waiting for Simeone to the minimum: " The other day you asked me what I asked to the kings. Patience and energy. I have them. I'm good and calm. This is long, you have to wait while sitting down and relaxed. "